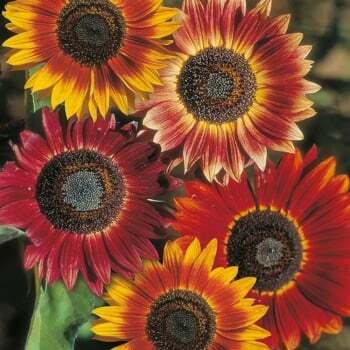 These Mr. Fothergill's sunflower evening sun seeds from Ruddick Garden Gifts are easy to grow and have long lasting flowers. The colour of the flowers range from deep mahogany to golden orange and these tall, striking plants are great for the back of a border. Sunflowers attract a range of beneficial insects to the garden and their spent heads can be left to feed the birds throughout the winter.